in order to respond to the customer’s requests accurately and quickly. 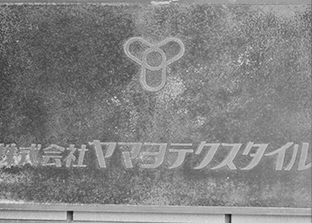 We would like to knit the customer’s trust and impression by solid technology and solid production system. “Twisting textured” is the process to twist the polyester filaments and set by the heat. Our factory has 10 PIN type twisting textured machines. This PIN type twisting textured machine is few in Japan. The productivity is lower than the other types of textured machines, however our factory can produce and provide the textured yarn by ourselves which has much more stretch and bulkiness. 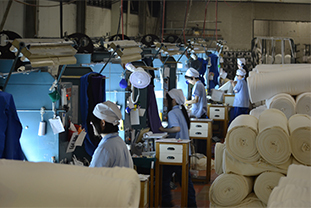 At present, our factory has about 300 circular knitting machines, from low gauge to high gauge, as well as the computer control. 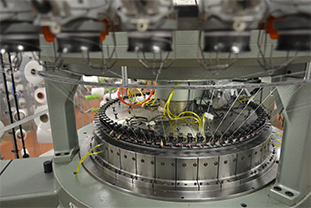 Many processes, such as the machine maintenance, providing the yarn, machine operation are cooperated with each other. 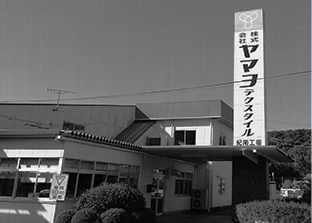 Wakayama factory has 55 machines, Head office has 130 machines, and they are operating 24 hours. We actively change the circular knitting machine stored in the warehouse which is still active, also introduce a new machine in order to respond to the customer’s needs quickly and in order to improve the production efficiency as well. 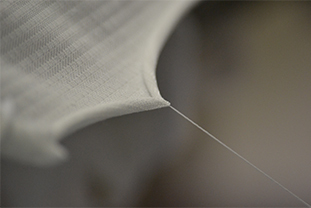 We check all fabrics by the winding fabric inspection machine to detect the staining and flaws, such as broken end in the finished knit fabric. If we detect any problems in the fabric, we search for and analyze the reason thoroughly with the person in charge of the manufacturing, and make effort to improve the quality. We inspect the fabric texture whether finished knit fabric is manufactured as instructed or not. We also do the quality management of the shipping fabric. We do the inspection dye in order to check whether there are any problems or not during the dyeing stage. 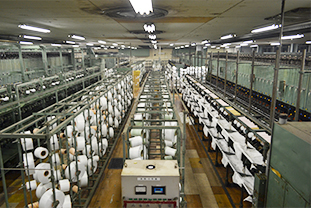 We store and manage the sample that is knitted once, therefore we can reproduce the same fabric at any time.